Ukrainians, like the Czech and Slovak people, have a strong tradition of egg decorating. We sell these kits in our museum store because they showcase the unique artistry of egg decorating, which is very similar to the Czech and Slovak way. Please enjoy these kits as a tool for understanding the techniques of European egg decorating; a long-lasting tradition in the Czech and Slovak Republics. 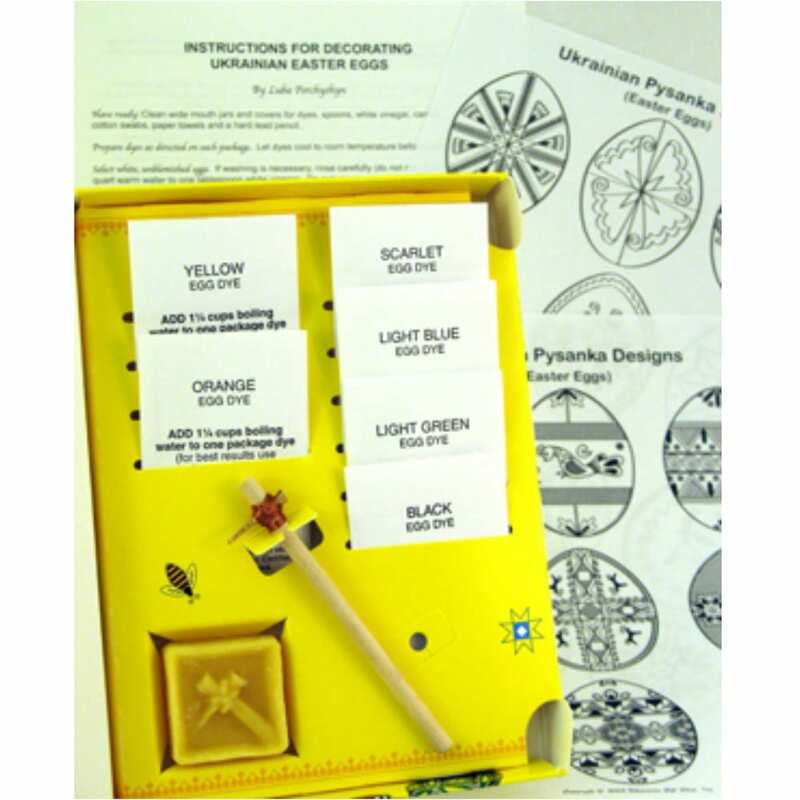 Contains: Six dyes (yellow, orange, scarlet, light blue, light green, black), light beeswax, medium traditional kistka, two design sheets, and black & white instructions.